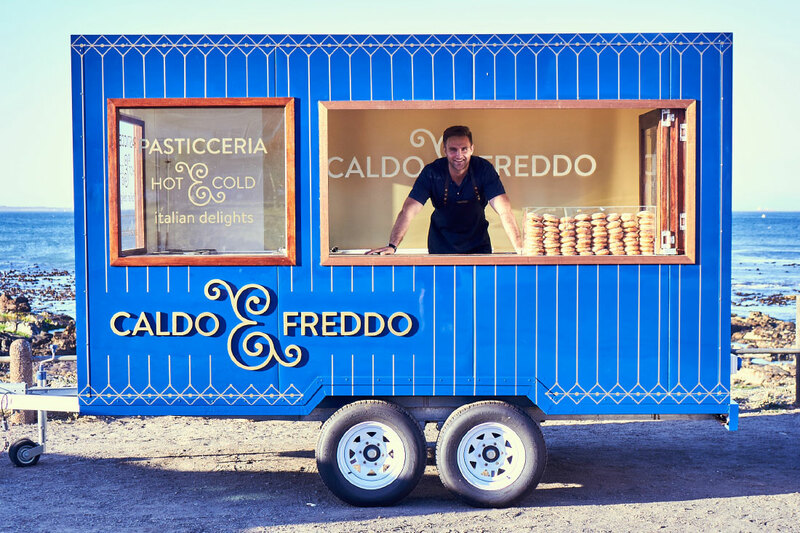 A food truck brand for hot and cold Italian delights – how could we say no to this mouth-watering project! 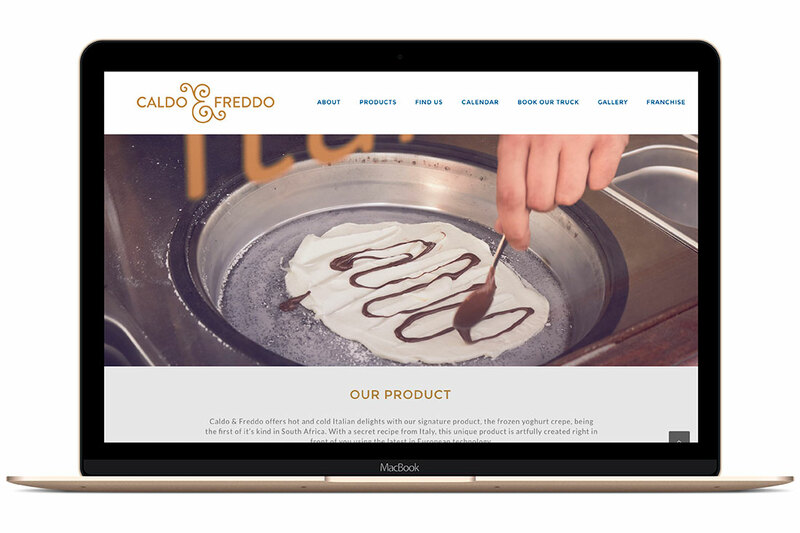 Caldo & Freddo is Cape Town’s first authentic Italian Pasticceria with its signature product, the frozen yoghurt crepe, being the first of its kind in South Africa. 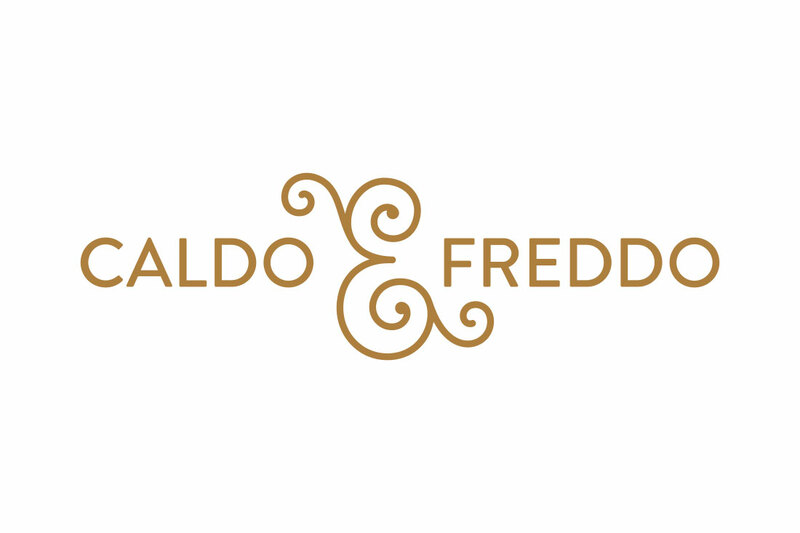 As this product originates from the quaint Italian town of Treviso, it was important for us to create a brand that had a European stylishness and the romance and freedom of the Italian lifestyle. 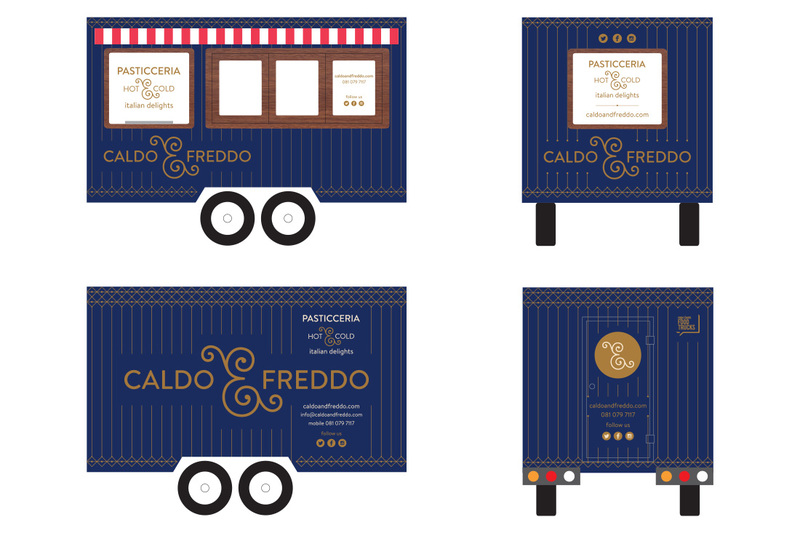 In creating a true Italian experience, we wanted this to be the most beautiful food truck to date so the interior of the truck was equally important as the exterior design. Instead of a hatch we chose to have glass folding windows that open up to a gold cladded interior wall. 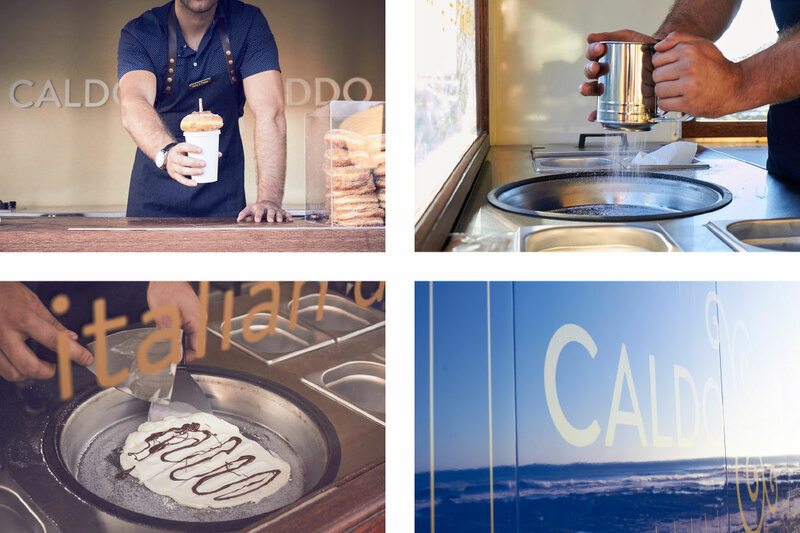 We also chose to have glass panels overlooking the cold plates so that customers could watch and enjoy the art of making these Italian delights. 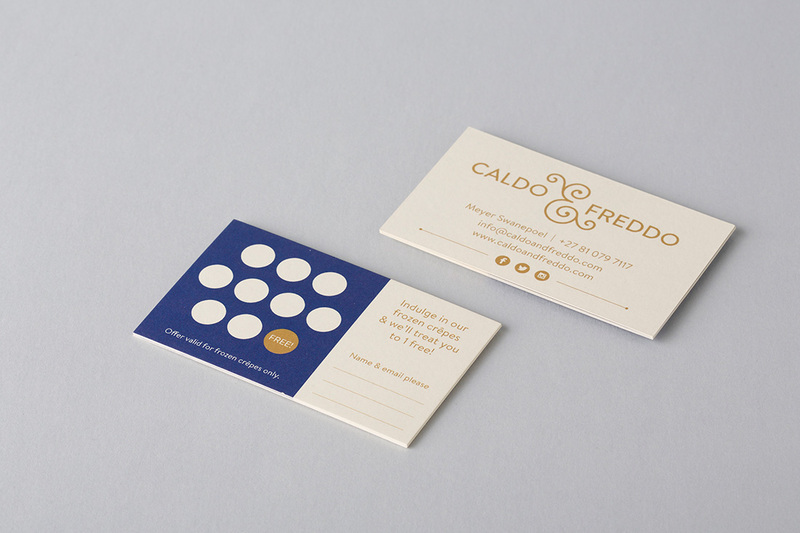 We couldn’t be happier with this beautiful design and think it epitomises ‘la dolce vita’!